There are many different vinyl siding options that people can choose from. 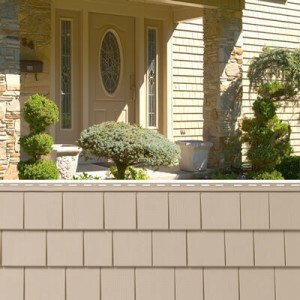 Siding has many different prices, but if you are looking for an affordable option – try Mastic vinyl siding. Buying affordable siding options does not mean you are sacrificing on quality. In fact, you can get beautiful siding that is also durable. Since vinyl is made from PVC, it is very different from wood siding. Since Mastic has been around for over 70 years, we can assure you that you are getting a great material. They have been used to make everything from doors and siding to windows and stone veneers. They want your home to have custom made, low maintenance pieces that also look good. They come in many different colors and styles to mix and match, for beautifully designed, custom home. Vinyl siding can easily match with mastic vinyl windows and doors. Use mastic for a dramatic change to the exterior of your home. You can have it look like you spent a fortune, but you are spending a fraction of the cost to other vinyl siding applications. Many other types of siding overlap about every 12 feet, but Mastic does not have any overlapping. 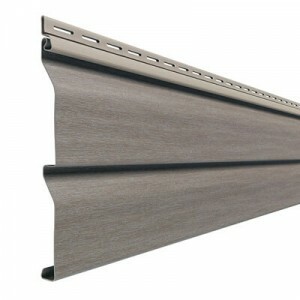 It will ‘pop’ easily into place, leaving you with a seamless and smooth siding application. If you are ready to have a high quality vinyl siding application, contact Peter L. Brown. They will help you to find the right color and style of vinyl siding to match your home. 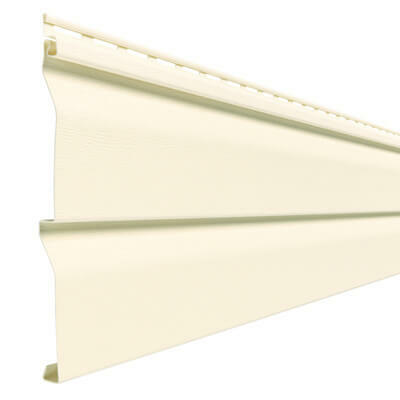 If you would like vinyl siding and windows, you can find matching mastic vinyl colors for each. In order to meet our client’s needs, we will work with you to find the best choice. For siding and color that lasts a lifetime, try Mastic Vinyl siding with its endless color combinations and authentic appearance. If you are in need of siding, window or roofing services, here at Peter L. Brown our knowledgeable staff and excellent craftsmanship will give the exterior that you are seeking. By upgrading your home to new products, you are not only making your exterior nicer looking – but also are making it more energy efficient. Adding a new vinyl siding Hartford CT application will do wonders to your home’s appearance and will also improve its durability. Our siding is very low maintenance and only needs a light cleaning with soap and water once a year. You do not need to power wash or paint the siding ever again! The bright paint options are very appealing, and give off an impressive style to your home. You will no longer see seams in siding, which shows the quality workmanship in the application. Energy efficiency is a big concern with our customers, and our new windows installed in your home will seal out air while bringing in extra natural light. When there is excessive heat outside and the sun’s rays shine on the window, the window will reflect the heat to keep your home at even temperatures. Our vinyl window replacement Hartford CT will also match the colors of our vinyl siding, to maximize curb appeal on your home while being a complete exterior solution for your home. Protect Your Roof from Leaks, Mold and More! Roofs can have many problems from small holes to leaks, pests and molds. We use Atlas Roof Shingles with Scotchgard Protector. It will keep your roof clean and discourage mold and algae from forming in the first place. With the Scotchgard protector, your shingles will be clean even after ten years and will not require pressure washing or any chemical cleaning. If you need to update your home’s exterior, look no further than Peter L. Brown. We have many upgrades for your home that will increase curb appeal, decrease maintenance and deliver more energy efficiency. Contact Peter L. Brown to increase curb appeal with your exterior home upgrades. Here at Peter L. Brown, we are the professional siding, roofing and window company in Hartford County. We are the professionals that homeowners can trust, and we provide our customers with the best in quality materials and craftsmanship. Over the years, our company has built up an impressive reputation in Connecticut, and we proudly stand by our work. 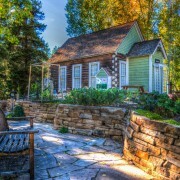 Homeowners today expect a lot from their exterior projects. They want to make sure they are getting hassle-free low-maintenance products with quality craftsmanship and great product performance. Luckily, with Peter L. Brown – you are getting all of that and more! With our vinyl siding, vinyl windows and roofing; you can have a beautiful exterior to your home at a great price. Whether you need replacement doors Hartford CT or a new roofing application, we are the number one exterior home re-modelers in Connecticut. 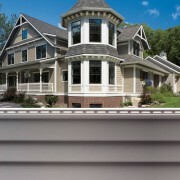 Our siding choices with vinyl are great for a low-maintenance application, that last for decades. It does not need to be repainted, and only needs a light cleaning with soap and water once a year. You will not have a ‘staggered’ look like many other siding applications. The siding will not overlap; it will be smooth and seamless. For roofing Granby CT, you can have shingles that stay virtually the same color even after ten years. The color will not fade, there is no discoloration and algae will not grow due to the Scotchgard Protector feature in Atlas Roof Shingles. It’s very easy to overlook your roof, and this is an unfortunate mistake that many people make. Once your roof has a small problem it can become a much bigger problem – and quickly. If you aren’t checking your roof annually, then you are risking the health of your roof and your home. For another dramatic change to your home, why not add brand-new, picturesque windows? 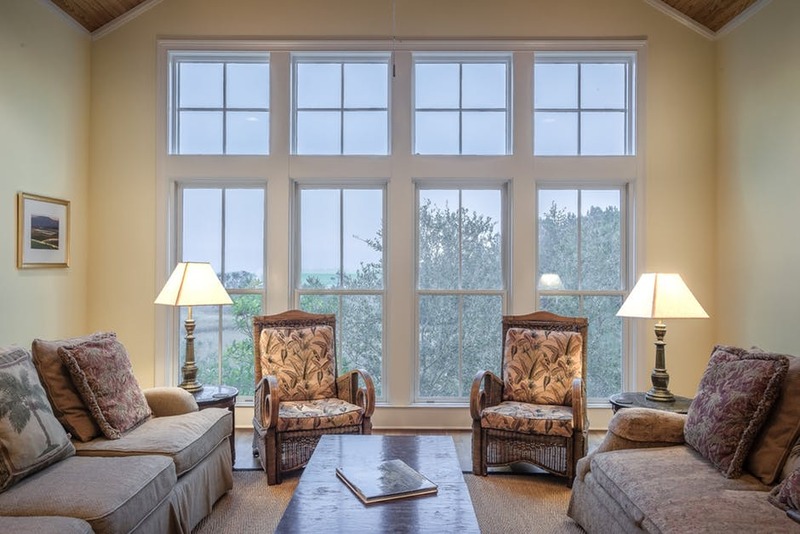 For quality windows, try custom made windows made with the superior Mastic Vinyl application. We have everything from sliding and picture windows to awning and casement windows. We also have many different colors for our Mastic Vinyl windows that also match the colors of our Mastic Vinyl siding. Contact Peter L. Brown today for professional exterior products at affordable prices. If you are in need of roofing services, siding or window services – then Peter L. Brown is your number one exterior maintenance company in Connecticut. The family-owned business has been successfully running since 1960. 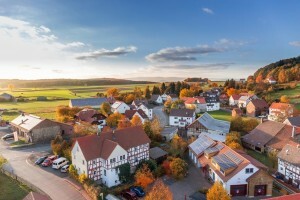 They have quickly built up a reputation over the years as the company in Connecticut homeowners can trust. Our certified vinyl installers will help you to create your ideal home. As vinyl siding mimics the look of wood without the price, you can have an authentic looking wooden siding in a quick and easy application. With vinyl, it’s low-maintenance, better protect your home and will increase curb appeal. 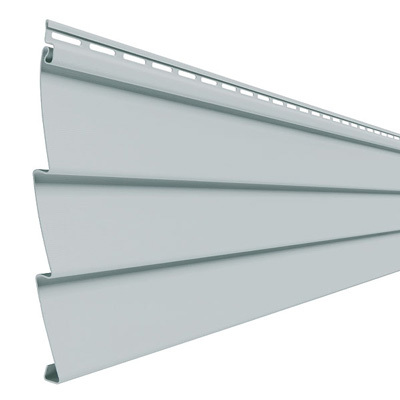 The seamless application will not show a staggered look where the vinyl siding piece ends and the next one begins. The surface is much smoother now than older types of vinyl siding. For roofing, you want a strong material that lasts. Many roof types age very quickly. They acquire algae and mold, show streaks and even peel. With Atlas Roofing Shingles, it features Scotchgard protector which allows for optimum protection. It prevents algae, discoloration and streaking. It also prevents moisture build up and doesn’t require chemical cleaning or power washing. Unlike other roof types, it doesn’t crack or damage easily – making it a low maintenance option for many homeowners. Our vinyl windows would be the perfect match to a new vinyl siding application. You can match your vinyl window color with your vinyl siding color. With our Mastic vinyl, it comes in a variety of rich colors that will compliment any home. For easy-to-install windows that come in a variety of designs from picture windows to sliding windows, go with Peter L. Brown vinyl windows. For beautiful vinyl siding applications, you don’t have to look far and wide for a great company. Many vinyl siding companies claim their siding is the best, but Peter L. Brown has years of experience with many different vinyl siding applications. We work with you to find the right fit for your home, so it will look professionally done. You can add immense curb appeal with just one application of vinyl siding. Vinyl siding has come a long way from its origins. It originally did not have the smooth finish nor did it mimic traditional wood siding at all. The plastic was also not as strong, so it was more prone to damage. 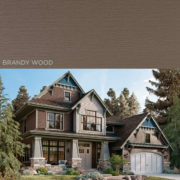 The color choices were also very limited, so it was difficult to find a vinyl siding application for everyone. Today, vinyl siding is extremely versatile and comes in many great colors that you can match with new window replacement in Hartford CT. Peter L. Brown uses a seamless application that does not show creases like other siding applications. Our vinyl siding Hartford CT experts get the job done quickly and easily as the siding just ‘pops’ into place. For a home improvement that is a great investment, add a vinyl siding application today! You can easily transform the look of your home at a reasonable price. Match colors with our vinyl windows and our vinyl siding to create a professionally designed home. Contact Peter L. Brown to get started today! Whether you need siding, insulation, or residential roofing Hartford, CT – Peter L. Brown is your go-to company for all exterior home services. Peter L. Brown began their aluminum, siding and window business since the 1960’s. In 1986, they became a full-service exterior home improvement company, providing you with the best in home improvements at a reasonable price. They have since been dedicated to providing their customers with quality materials and excellent craftsmanship. Since siding is one of the aspects to homes that people see first, it is important to get a durable material that will last. Traditional siding often overlaps, showing unwanted lines and seams. If you want to make a dramatic change to the exterior of your home, then our seamless vinyl siding Hartford, CT is the way to go. The siding pops into place, making installation easy while creating a professional look. You will have a smooth exterior surface, that resists damage, dents and does not have to be repainted. This low-maintenance material will give your home the curb appeal it needs. It is important to have a completely sealed application of insulation. Some insulation materials do not get in every crack of the wall, and the heat will end up leaking out of the cracks. This will, in turn, raise your energy bill. At Peter L. Brown, we have insulation that will fill in every crevice, to properly ventilate the attic and prevent moisture. In an improperly ventilated area like an attic, condensation will form and lead to raised energy costs, roof and wall damage, water leaking from the attic and even mold and mildew growth. The importance of good insulation is often overlooked, but you will see the savings in energy costs once you change your insulation type. With our AttiCat blown-in insulation, the setup is simple with no mess! Fiberglass insulation is blown into your attic or small space, covering the area in its entirety. You will have more control over your heat, with this safe and reliable material. Is your roof living up to its expectation? Many roofs start fading after a few years. Maybe your shingles are falling off and your roof is just not holding up like it used to. With Atlas Roof Shingles featuring Scotchgard protector, you do not have to worry about color fade or algae growth. It is a strong material, that comes with a lifetime limited warranty. So don’t ignore your roof, as it is easy to overlook. Because the roof is your first line of protection against weather, it needs to be strong. A good roof will protect your home and increase your home’s value greatly. If you want to upgrade your home, but you don’t know what to work on – choose one of these projects above! They will give you the biggest return on your investment and will save you money in the long run. So contact Peter L. Brown today for a free estimate to start remodeling your dream home today! If you are looking to remodel the exterior of your home, Peter L. Brown is the roofing, window and siding expert in the Hartford, CT area. You can have a beautiful, custom-made piece for your house within a short period of time. You can increase the curb appeal of your home, without spending a lot of money. A great material for windows and Doors would be vinyl siding because it is durable and easy to maintain. Other materials for windows like wood need to be repainted, are hard to maintain and often are exposed to mold and pests that can make the wood rot. Like wood, vinyl siding is just as energy efficient. You can likely save a lot of money on your energy bills within a few years with vinyl siding. Homeowners who use vinyl windows and doors find that they truly last a lifetime. They resist scratching, damage, mold and dirt – which will show up on wood. If you are looking for an alternative to moldy and dirty roofs, then Atlas Roof shingles with Scotchgard Protector. They prevent streaking from algae and discoloration. If you want a strong roof, visiting a professional roofer for yearly inspections will help you to protect your investment for years to come. The dimensional shingles used at Peter L. Brow come in 13 different colors and are much more attractive looking than asphalt shingles. For superior resistance to weathering, try Atlas Roof Shingles today. If you need to upgrade your siding to a newer, more secure material – then vinyl siding is the choice for you. It is very low maintenance, and only requires a light cleaning with soap and water annually. Many types of siding show where the siding ends, which creates an ‘overlapping’ effect. With Peter L. Brown vinyl siding, it is seamless and you will just have a smooth finish. So if you are interested in upgrading your exterior to reliable materials, contact Peter L. Brown today. For reasonably priced materials that will have a long life, try any of our vinyl siding materials. In the past 30 years, the vinyl siding industry has boomed and has shown to be a reliable material and easier to manage material over the years. If you are looking for roofing services in the Hartford County area, Peter L. Brown is the right contractor for you. With years of experience as a siding, roofing and window company, we can provide you with the best technological advances in the industry. As a home improvement company that homeowners can trust, we know that we will be able to help you create the home of your dreams. Here at Peter L. Brown, we are the leader for seamless vinyl siding in Hartford CT, to make your home have a dramatic change and curb appeal. The low-maintenance application will help you to achieve the desired look in little to no time. The affordable mastic vinyl siding has been trusted by homeowners and contractors alike for over 70 years. Mastic comes custom made in many different colors that compliment vinyl windows. For our roof designs, we like to use Atlas Roof Shingles with Scotchgard Protector which prevents streaking, damage or discoloration for residential roofing in Hartford, CT. 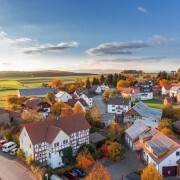 Many roofs in high humidity areas, including Connecticut, have problems with algae growth. But, the Atlas Roof shingles prevent algae from forming with a material inside called copper granules. You do not need to power wash or chemically clean your roof, as these shingles prevent streaks and algae growth. You can expect your roof to look just as good ten years down the road from being installed. If it has been a while since you have replaced something on your home, why not replace your door? First impressions with homes are very important, especially if you are looking to sell in a few years. A new door not only adds curb appeal, but also will help to lower energy bills. With our Provia Entry Doors, you secure your home, lower energy bills, and improve interior comfort with its Energy Star Certification. Choose from different woods, styles and colors to add character to your home to set your home apart from others for years to come. Contact Peter L. Brown today to improve your home with exterior solutions that improve the reliability and beauty of your space. Peter L. Brown specializes in everything to do with remodeling the exterior of your home. From siding and window replacement in Granby to roofing and insulation, you can upgrade the exterior of your home to make it an everlasting experience. With knowledgeable staff and excellent craftsmanship, you can have your dream home within your time frame. Peter L. Brown began doing aluminum siding in the 1960’s working out of a tiny office. Over the years, our business has grown to become the siding, window, and roofing specialists that the residents of Hartford county can count on. Much of our business comes from word-of-mouth referrals and repeat customers. Since customers appreciate hard work and dedication to the job, our phone keeps on ringing. 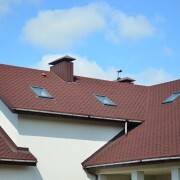 Roofing is one of the industries that we specialize in. We sell Atlas Roof shingles, which protect from moisture and mold growth. 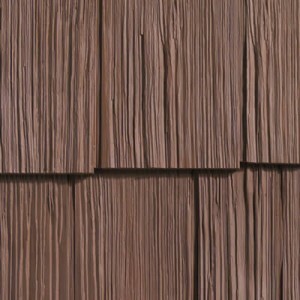 Your shingles will not fade in color or streak like a lot of roof shingles do in a humid area like Connecticut. Since roofs can be ‘out of sight out of mind’, many people don’t seek roof repair until there are major repairs that are needed to be done. This means that you may end up paying more money along with risking internal damage to your home from roof leaks to mold growth. Getting annual roof checks is beneficial and will save you money in the long run. For Window replacement in Hartford, CT, we use mastic vinyl replacement windows, which are not only low maintenance and energy efficient but also give major curb appeal. The stylish and smooth finish to the windows pairs with the different colors and styles of your home. 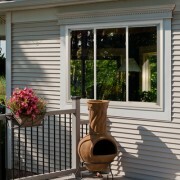 Our vinyl windows also pair perfectly with our Mastic vinyl siding. You can match Mastic vinyl colors for the windows and siding – which come in rich, deep colors to give any home have more curb appeal. You can also pair your windows with new sliding doors in Hartford, CT. For colors that pop and made to last for years – why would you shop for windows anywhere else? 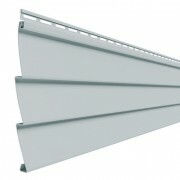 We also specialize in gutter installation and repair. Gutters are often one of the last features of a home that people will repair. This is because people often do not check their gutters, and underestimate what can happen if a gutter is not functioning properly. Gutters that are not working efficiently can cause water to leak into the walls of your home, causing rot and mold growth. To prevent gutters from getting clogged, you can install a gutter protection system like the Berger Seamless Gutter or Klean Gutter Systems offered here at Peter L. Brown. Finally, our vinyl siding selection gives customers many options to style their home. Our vinyl siding colors come in 35 different choices. You can use different colors for the trim and accent – making endless color combinations. The siding does not require extra paint applications and has a truly authentic appearance with more durability than wood siding. For shingle options, we have many to choose from including half-round, hand split shake, perfection shingle triple and perfection shingle double. We have different shapes and colors all of which will give your home character. Whether you want the curved shape half round to give your home a true ‘dollhouse’ feel, or hand split shakes to add a rustic look – there are infinite options create. Contact us today to get started on designing your new home!